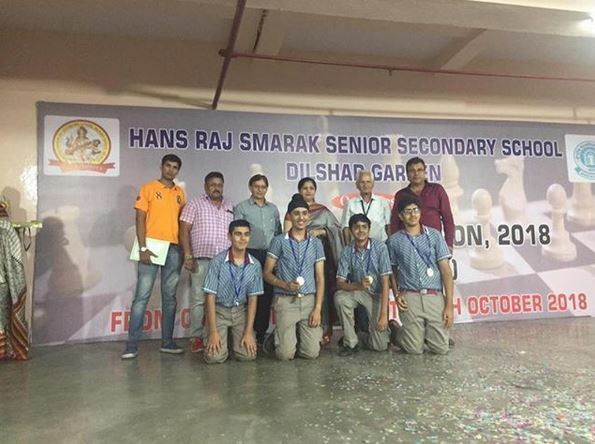 The students of K.R Mangalam World School G.K-II have hit a home run by winning an entry into the Chess National Championship. The Under 11 Boys team stole the show and emerged the champions after beating the DPS, RK Puram team. Ayaan Ahuja, Mahir Aggarwal, Aarav Goenka and Ashvath Mittal were the star performers. The Under 19 Boys team comprising of Harparab Singh Johar, Gunin Malik, Pranay B Arora and Bhavy Kapoor stood at an envious second position . They performed very well and defeated the DPS, Mathura Road team in the final round. The Under 11 Girls team stood at a proud fourth rank. Kudos to Krisha Gupta, Saira Kalra, Saisha Joshi and Meddha. And last but not the least , kudos to the Under 14 Boys team for putting up a strong fight against able opponents in every round from among 80 teams.